Your house is strewn with Legos from the front door to the garage. You haven’t seen the floor in the playroom since your firstborn started walking 8 years ago. You can’t move through any space in your home without something lighting up or playing music. And as much as you want be a gracious receiver and teach your kids to do likewise – YOU JUST CANNOT EVEN deal with one more toy in your house. Never fear mamas and papas. We are here to help. Consider an experience gift. For the same price grandma might spend on yet another doll, block or (help me!) stuffed animal, your entire family could benefit all year with a free admission to some great family fun attraction. Many of these memberships are partially tax deductible so check the details and let the giver know in advance. If you don’t have anyone willing to gift an experience for you, buy one for your own family. Maybe pick a different one each year and start a new tradition. Finally, remember to ‘over-appreciate’ the gift. Many people are hesitant to give a gift that can’t be unwrapped and enjoyed immediately. Snap some pics of the kids enjoying the pool in July or the zoo in the spring and have them write a thank you note to go with it. Letting the giver know how much you used and enjoyed their gift will help pave the way for a future of clutter free family fun. Look, this is a no brainer. This is the Gold Standard of all memberships for people with kids. Wanna know the best part? Once you have a membership, you can go to the zoo and just spend an hour letting the kids play on the playground. The need to stay from open to close and see every exhibit goes away once you know you can come back whenever you want. You can enjoy all the zoo has to offer on your own timetable including lots of special events throughout the year. Several levels of membership available. Most popular family level membership is $110. Membership benefits listed at this link. 15% Gift certificates for a limited time. You can’t go wrong with a membership here if you have school age kids. One year I went no less than 8 times with my kids. School holidays, random days off for teacher conferences, you name it…we went. There is always lots to do and especially in the winter months, Adventure Science is a great way to spend an afternoon. Individual ($49/year) & Household ($109/year) memberships available. Caregiver options are also available. Membership benefits listed at this link. Several tiers of membership available. Discover Family membership is $100/year and includes 2 named adults and 4 named children. Other options and discounts for educators and military can be found at this link. The Curious Kitchen in Murfreesboro offers lots of fun cooking classes for kids and adults. Check their calendar for some of the options. I’m buying a gift certificate for my 20 year old daughter as a Christmas gift. I did a terrible job teaching her to cook so I’m going to let a professional take over! This would be a fun gift to wrap up with some utensils or an embroidered apron. Plus there’s a Kids and Teens beginner series starting in January. I think this would also be a great couples gift. Offer to babysit during their date night cooking class and you will be the hero of the holiday season! Purchase a gift certificate at this link. Don’t let the distance keep you from exploring this membership opportunity. Chattanooga is a very easy day trip so there is definitely a way to maximize your membership. I bought a family membership one year when my kids were younger and we made 4 trips to the aquarium before it expired! We went on every school break and once during the summer. Depending on the size of your family, even two trips in one year will more than cover the cost of a membership. There are several levels of membership. Family membership ($175/year) includes 2 adults and 5 children. This is not just for tourists! The Country Music Hall of Fame and Museum offers programs for the family all year long. Take a look at the calendar to see what’s available. A full list of membership benefits is available at this link. A family membership is $100/year and includes 2 named adults and all children in the household under age 12 plus free guest tickets. This indoor play center offers a “Frequent Hopper Card” for $60. It is good for 10 visits. That’s a lot of afternoons with happy jumping kids! Several membership levels are available. Dual Household membership – 2 named adults and children is $100/year. If you want great photos of your kids, Cheekwood is always the place to go. Tulips in the spring, flowers all summer, pumpkins and scarecrows in the fall and Christmas lights during the winter. Gift cards are available. Keep in mind that open jump prices are $9 – $12 per child depending on day/time. Gift certificates available at this link. My kids were obsessed with this place but it was not ever in my budget to take 5 little girls to the mall to spend money on stuffed animals. They did however have an uncle that hated shopping so every year he bought them Build-A-Bear Gift cards for Christmas. They LOVED being able to pick out clothes and accessories for their bear and I loved that it gave us a free(to me!) outing to fill those long days after Christmas before school started back. Build A Bear gift cards are available at lots of places like Walgreens, Kroger, etc. Or you can purchase them online. I know…it’s November. You can’t even think about summer right now. But trust me on this…it’s coming. Season passes are on sale for $59.99. Find a cute swimsuit or beach towel on clearance and wrap it up with a season pass for a summer full of fun and prepare to be grandparent/aunt/mom’s friend of the year! Speaking of summer fun… how about an amusement park? These three options are ‘out of town’ but they are all close enough to be a fun weekend trip. 2019 Season Passes are on sale now for $59.99. 3 levels of season passes. Prices range from $99 – $162. Wrap one of these gift cards up with a bag of popcorn and some candy! Planning some travel in 2019? Consider a CityPASS or Go Card. or maybe a trip to The Biltmore in North Carolina? What did I miss? 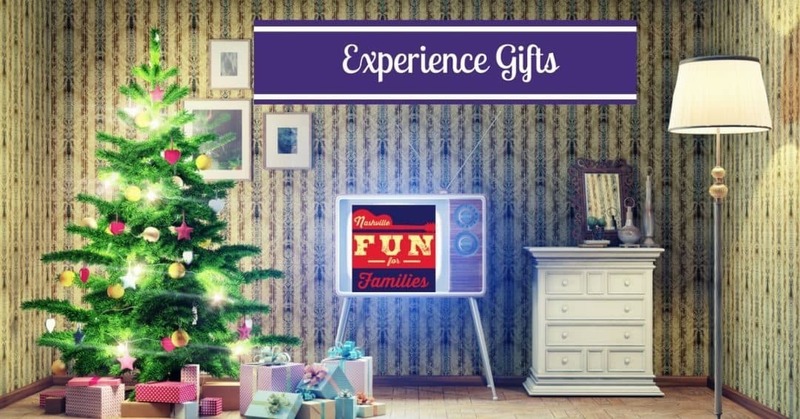 Leave information in the comments if you have a favorite experience gift or membership that you use for your family.